On top of that, the glassy character of this cymbal easily pierces through the massive roar of distorted guitars, so you don't have to play hard to be heard. Type: Crash. Pitch: Mid to High. Finish: Dark. Manufacturer Part Number: CC20DAC. On top of that, the glassy character of this cymbal easily pierces through the massive roar of distorted guitars, so you don't have to play hard to be heard. Type: Crash. On top of that, the glassy character of these hi-hats easily pierces through the massive roar of distorted guitars, so you don't have to play hard to be heard. Finish: Dark. Type: Hi-hat Pair. New Gear: If you’re not satisfied, neither are we. The playing surface has two different zones for bass and snare sounds. Playing towards the center of the cajon creates deep bass; striking the top corners gives you a crisp slap tone like a snare drum. Small Caxixi. Premium fiberglass. Acoustic Guitar Strings. Bass Guitar Strings. Electric Guitar Strings. © 2017 Strings For Less. Carrying bag. Woodwind Accessories x. Composed of B10 bronze alloy, the Classics Custom Trash Stack features a thin weight and brilliant finish. B10 bronze cymbal stack with bright, abrasive character. New Gear: If you’re not satisfied, neither are we. 965 Forest Ave. 14" Hi-Hat. Designed to cut above the roar of guitars, these cymbals do most of the work for you, so you don't have to play as hard to be heard. The luster of Classics Custom Brilliant renders cymbals that allow you to carve out your playing among a dense mix of electric guitars and heavy vocals. “I wanted a wide spectrum!”. They sound perfect especially in the studio.”. Acoustic Guitar Strings. 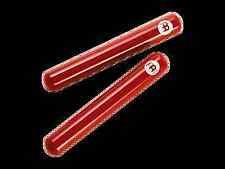 Bass Guitar Strings. Electric Guitar Strings. 60 bars, double row. © 2017 Strings For Less. New Gear: If you’re not satisfied, neither are we. 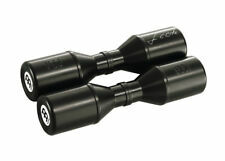 Holes in the top and bottom eliminate air lock for maximum clarity. Adjustable sustain by utilizing the wing nut and felts of the cymbal stand. New Gear: If you’re not satisfied, neither are we. It’s that simple. With all the features of a full size Cajon, The mini-cajon with internal snare wires is fun to play for spontaneous jam sessions and will look great on your desk or coffee table. These miniature Cajon's are great to tap on and easy to carry around. Traditional finish. Warm, light, buttery wash. New Gear: If you’re not satisfied, neither are we. It’s that simple. Woodwind Accessories x. Guitar Cables. The Pure Alloy Splash's tone and output are skillfully tuned to balance well with the rest of the Pure Alloy cymbal series. Embodies the look and response of history's most cherished cymbals. Musical touch. Meinl Cymbals B14TC-B Thin Crash Brilliant Cymbal 14 in. Highly polished finish contains bright overtones with a silky, washy, dark sound. 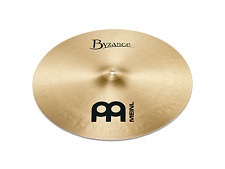 The crash has short sustain.The Byzance Brilliant Finish series is handmade in Turkey using B20 bronze alloy. The sound has a full mature dark tone that is good for almost any style of modern music. Frontplate: Dark Eucalyptus. Resonating body: 7-Ply (9 mm) Baltic Birch (Betula pendula). Baltic birch construction. Rounded corners for added comfort. Product code: HCS20C. Crash on the side of the cymbal with the shoulder of you stick or ride on the top and bell with the drumstick tip. WELL-SUITED TO PLACE ANYWHERE IN YOUR DRUM SET UP: The HCS 20” crash cymbal is well-suited to place anywhere on your drum kit to incorporate into any style of playing. We have a very knowledgeable, NON COMMISSIONED sales staff. 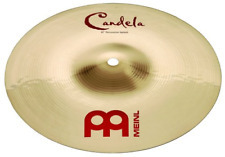 Portland Percussion is a authorized M e inl Cymbals. These miniature cajons are great to tap on and easy to carry around. At 14 cm tall, these versions are about 1/6 the size of a normal cajon. They are made of birch wood that is known for its excellent musical tone (made famous in drum set shell construction). Meinl Cymbals B15TC-B Thin Crash Brilliant Cymbal 15 in. Quick decay. The crashes are thin, tonally matched cymbals which can be played by hand or hit with a stick. They respond fast and decay quickly. Acoustic Guitar Strings. Bass Guitar Strings. Electric Guitar Strings.